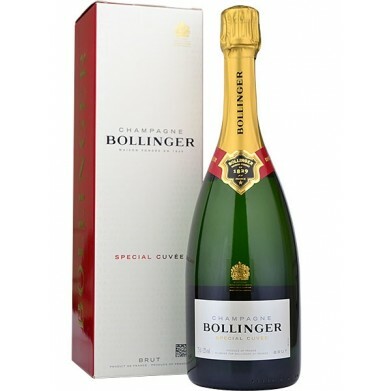 BOLLINGER BRUT SPECIAL CUVEE for only $75.49 in online liquor store. A rich, smoky Champagne, with hints of marzipan and fennel seed accenting honeyed malt, bread dough, baked apple and gingersnap flavors. It's all focused by intense acidity, which meshes beautifully into the layers of flavor and refined texture.